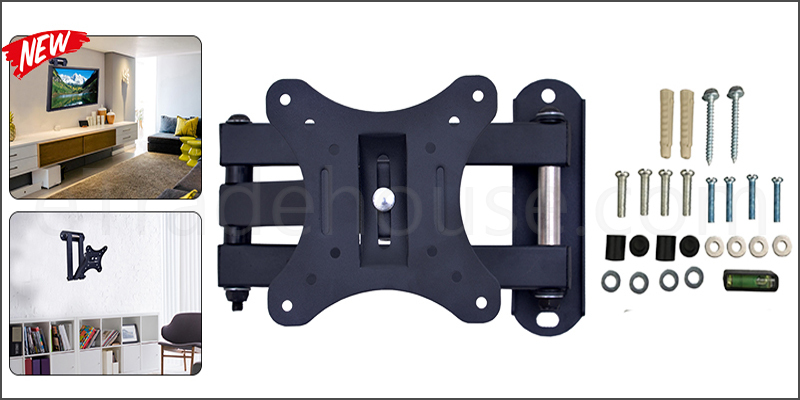 A high quality wall mount bracket for LED, LCD and Plasma TV's. Made of cold steel that is strong enough to hold the described TV weight. Level adjustment feature allows you to set your TV at the level of your comfort. Multi directional adjustment let you adjust the screen at perfect viewing angle. Low Profile mount retracts to 2.2" to save space. Tested several times after manufacture to ensure your safety and security. Suit for screen size: 14" - 30"